They don't come cheap though. 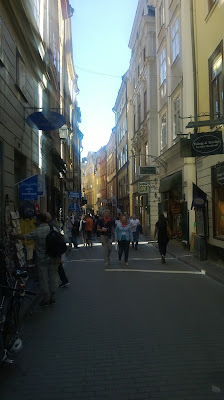 In the old town (Gamla Stan), we ventured into a home restaurant. We did order the mouth watering Lasagne above, and some veggie sandwich, and coffee and three waters. The bill was a whopping KSh. 6,000. And that's just average. We may have clocked north of KSh. 10,000 per person at other restaurants, including the Cloud Nine restaurant, where they managed to stir up sweet peas, salty fish and a sour potato based mash-up all in one plate. The Nigerians even commented on the passion with which the chefs at Cloud Nine described the meal. In Nairobi, Kenya, meals aren't served with such vigour, passion, flavour and variety. You'll find that the Swede's prefer their water sparkling. Most restaurants serve the water in glass bottles bearing their logos. I do think that the sparkling water is probably bottled at the restaurants. If you are not into sparkling water, you will find that you often have to order for still water, which again is served in branded glass bottles. Still water is bottled from taps. Yes, the Swedes trust their tap water that much. Their beer though, you'll come to discover, can be quite bitter. I would recommend going with their drafts, which are a bit palatable. As for the cost, you would think it was exorbitant, till I told you that my taxi ride from the airport would set you back KSh. 13,000, on a Volvo S80. A standard ride, on a Mercedes taxi will set you back about KSh. 7,000. The cheapest you can fork out on the 40 kilometre ride from the airport to the city (about same distance as Thika - Nairobi) is KSh. 3,500 on the Arlanda Express, a 20 minute train journey that will hit 210 kilometres per hour. At one of the malls (Commonly referred to as gallerias, probably where the Galleria mall in Kenya borrows its name from), the Levi's store was retailing a pair of jeans for about KSh. 10,000. Comparatively, the Levi's brand shop retails a pair in Nairobi at between KSh. 5,000 and KSh. 7,000, and even that is still considered a high price in Kenya. Some of those we had travelled with did go shopping for clothes when their luggage got delayed. They did shop for a pair or two of clothing, and their bill totalled to KSh. 20,000, which is someone's salary in Nairobi. The reason why Swedes look comfortable paying for stuff that makes you wince is probably due to the fact that they produce 63 times what the average Kenyan does. Annual production by each Swedish citizen is at $55,000(KSh. 4.8 million) compared to Kenya's average of $900 (KSh. 78,795). Put another way, the Swedes wouldn't notice if we subtracted our production from theirs! Their currency, I must warn you is quite a strong one. For that particular reason, you will find that Sweden is among the countries where they don't care much about the dollar. Everything, even in places where they handle tourists, you'll find is billed in Kronors. You'll have to find a forex bureau, and you will discover that they charge a commission in addition to rates. Alternatively, you can choose to pay by card. From Kenya, you'll probably arrive at the feminine-sounding Arlanda airport in the morning, well before 9 AM. It's one of the airports in the world where taxing takes enough time, with you watching as about 3 other flights land after yours, in succession. The airport has five terminals, which are large by our standards. Check in counters number more than 50 in terminal 5. 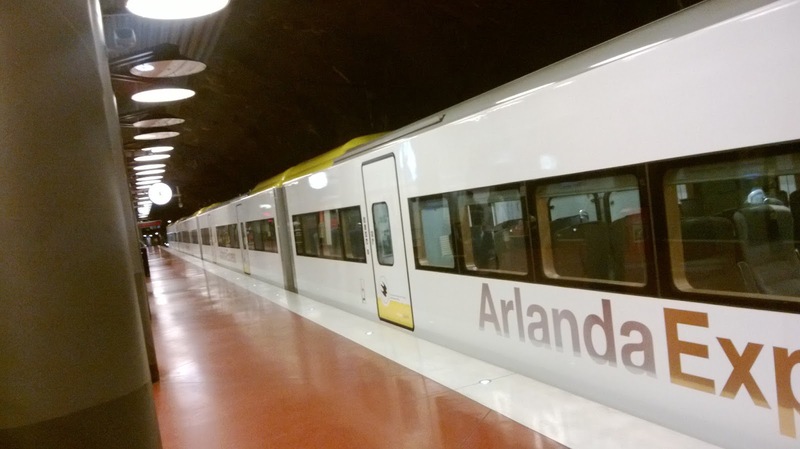 The Arlanda express has two stations under the airport, serving terminal 5 and the other terminals. 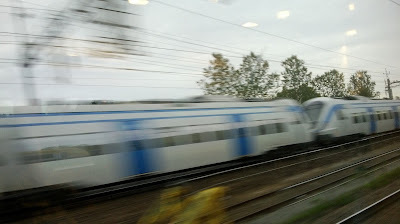 The highway from the airport starts off as a dual carriage, but does expand as you get closer to the city. 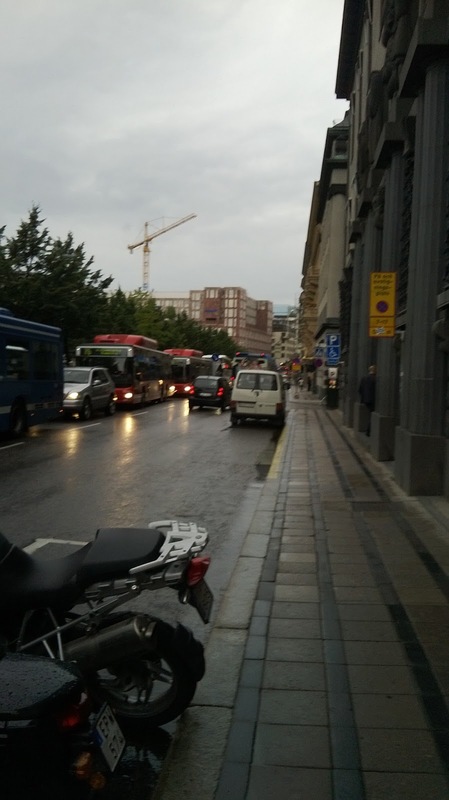 It does grow to four lanes, including a bus lane, which can be used by taxis. The bus lane will come in handy, as the morning commute from the airport also happens to be during rush hour. 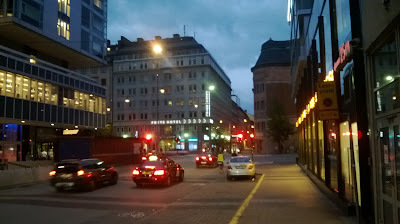 Stockholm does heavy rush hour traffic, which often comes to a complete standstill. The bus lane should get you past the many single motorists . Many do drive European cars, with former Swedish carmaker, Volvo, being quite popular. Toyotas are quite a minority, though I did spot one Fun Cargo by a dock where we boarded our yacht. They do drive well, with no unnecessary lane switching, and they do maintain enough space to fit in a bus between vehicles. The last bit will drive Kenyans crazy, with our insistence to touch bumpers in traffic. As for driving, drivers are allowed to drive as fast as 120 kilometres per hour, barring no speed limits. They also do drive with their headlights/side lights on the whole day. If some of you remember, there was a bunch of Volvos in Kenya that always had sidelights on whenever driving. Yes, Volvo went to the point of making a car that auto-switched on the sidelights due to the Swedish requirements. The sidelights are also required on in summer, where the sun can set as late as 8 pm or even towards midnight. Stockholm between 7:30 pm and 8:00 pm end of August. Even though Sweden is a developed country, you will come across lots of infrastructure development, mostly road construction. There's a major constructions involving flyovers and under passes on the road between the Airport and Stockholm. 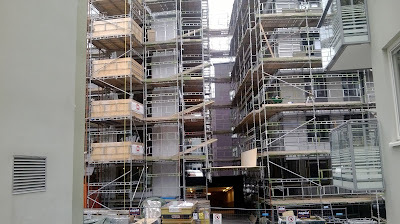 There's more construction in Sweden's central business district. Another surprise for Kenyans will be how good the roads are marked, including legible signage. Road signs will warn you 700 metres to an exit, or to roadworks. In Nairobi, 50 metres is an exception., with 10 metres considered fair warning. 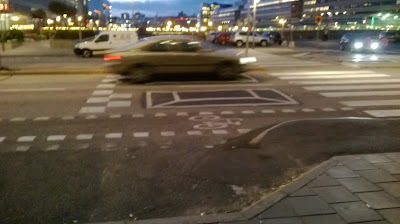 Besides cars, you will notice that Swedes cycle a lot. Most roads do have cycling lanes, complete with cycling traffic lights. If you come from countries where it is dangerous to cycle in major cities, walking around Stockholm in the summer might take some getting used to. The hundreds of biking Swedes do so at high speeds, and since you may not distinguish the pavement from the cycling lane, you may get in their way. It was the last days of summer, when the sun sets between 8 PM and 9 PM and is up before most of us wake up. So the biking was out in strong force, which I gather reduces during winter. the whole length joined through a flexible joint to allow for turns - call them trailers). Other than the city buses, they also have quite long inter-city buses, including tourist buses from Germany. 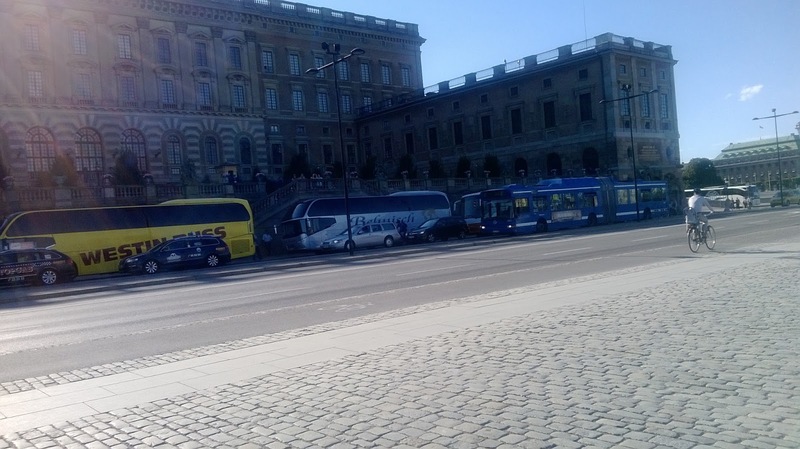 There's also a hop-on-hop-off bus that does the tour around Stockholm, and charges a one off fee per day (inclusive of WiFi access). Tourism is a major income earner in Stockholm. 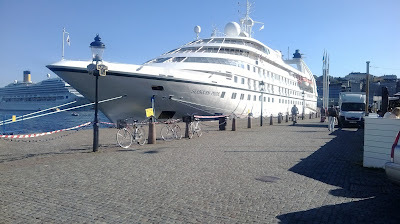 Stick at the many docks and you will spot 300 metre ships docking, such as the Costa Fortuna, which I happened to spot. 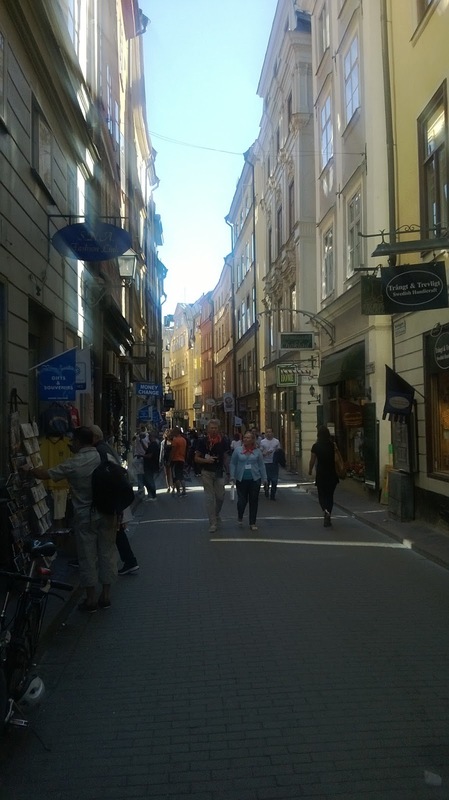 There are many tourist spots including the Gamla Stan (Old Town) with its interesting architecture and century old buildings. 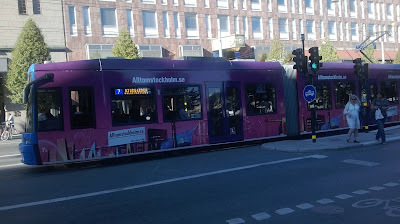 Places I may suggest include the Katarina Lift, a lift put up in 1883 to help Stockholm citizens walk faster from one part of the city to the other. I mean, a city lift! Not a building one. The lift is evidence enough of Swede's clamour for efficiency, compared to our casual approach. The lift gives a great view of the city. There's the Stockholm Vasa Museum, which contains the intact remain of a war ship that sunk in the 1600s, less than a few kilometres into its first voyage. A commission set up to find who was responsible for the badly built ship turned up with no suspect - something Kenyans will be familiar with. 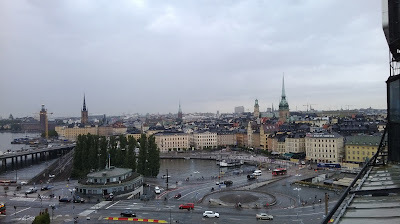 There's also a Stockholm rooftop tour, thought not sure of the charges. Similar to the hop-on and hop-off bus tours, there are also hop-on and hop-off boat tours. 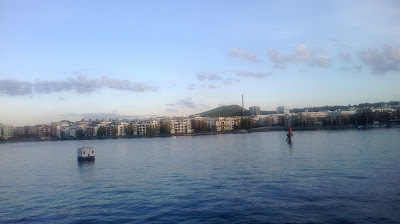 Stockholm itself is a relatively flat city, both topographically and structurally. Most buildings range between 7 and 10 floors, with few skyscrapers, especially in the CBD. 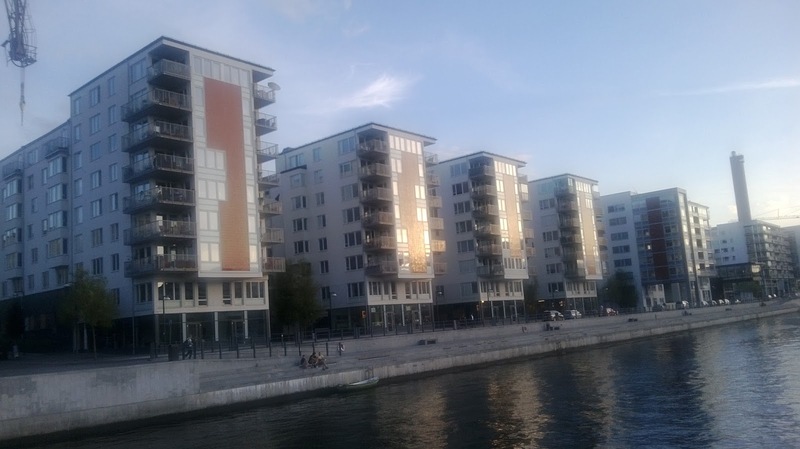 The Swedes prefer preserving the look of the city, hence frown upon skyscrapers. At the same time, there's little urban sprawl, meaning you will not likely find lots of spread out mabati housing. Surprisingly though, free WiFi is not common in Stockholm as you think it would be, and is only available in malls, and restaurants after they give you the password.. The country itself is pretty wired, with 92 percent of the citizens having high speed broadband at home. Another thing, the toilets. 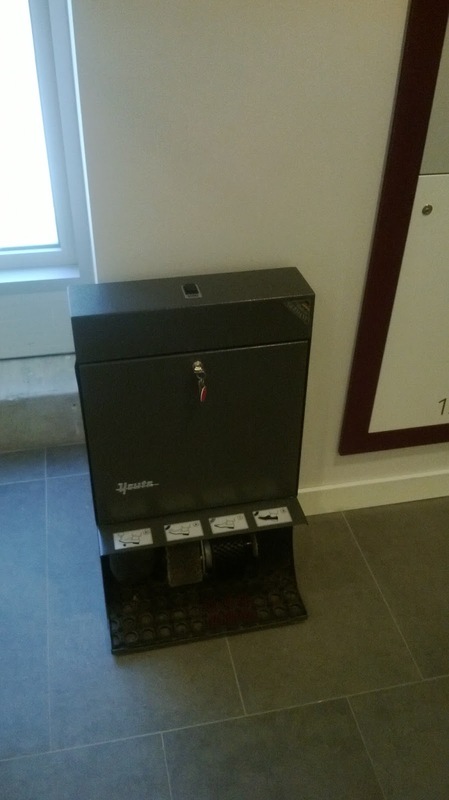 At restaurants, toilets are locked, with a coded lock. You will need to ask that form the restaurant, or pay to use the facility. 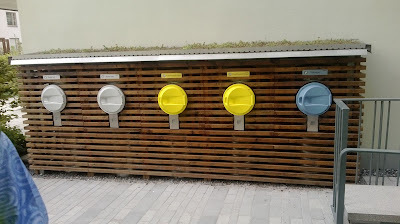 There are also public toilets, but they too are locked. They are not manned, you insert money in a slot, and they let you in. Labour in Stockholm appears to be really expensive. You'll also find unisex toilets (meant for both male and female) quite common that separate wash rooms. You'll also unlikely to find a shoes shiner in the whole of Stockholm. You'll however find shoe brushing machines - they have rotary brushes, you just place your foot under a particular brush (dusting, shining), press a button, and viola! Again then, you will find that you can make it through the whole week, or even more, with your shoes maintaining their shine. 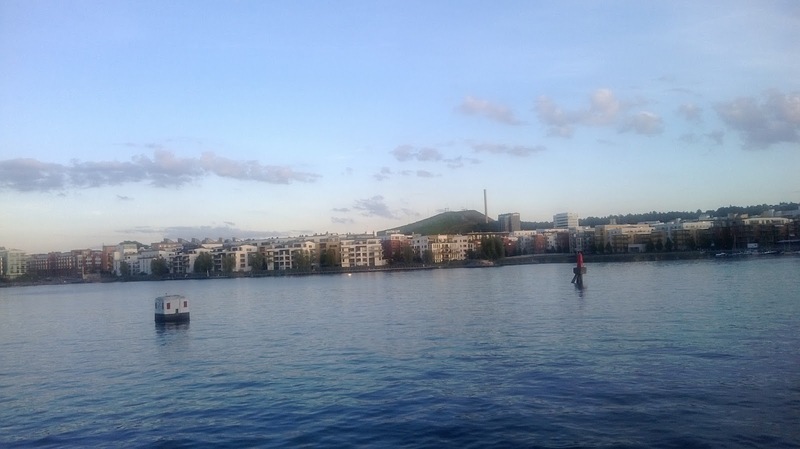 Stockholm is so paved that there are almost zero chances of running into dust. We only got dust on our shoes after we visited the construction site at the Royal SeaPort! Housing though is very expensive due to the limited land mass. Approaching Arlanda airport, you will notice the Stockholm Archipelago, consisting of approximately 30,000 islands. A good number are uninhabited, and you are legally allowed to camp in them. You'll also notice there's lots of water bodies on the mainland. 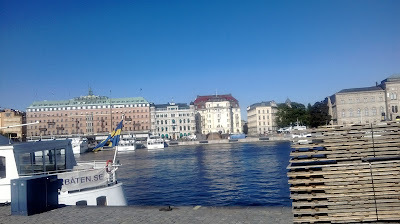 All this, coupled with lack of skyscrapers makes Stockholm buildings quite pricey. Hotel rooms and houses have just enough space to fit furniture, and that's it. Consequently, the industrial area and port have been relocated (I think twice). The Royal SeaPort forms the former port and industrial area, and now has flats coming up. The area is a green site, aiming to eradicate use of fossil fuels such as oil and coal by 2030. Ericsson is taking part here in making home communication more efficient and thus cutting up use of lots of cables and networking equipment. The Royal SeaPort also sports Envac vacuum garbage disposal units. The garbage bins outside each flat are linked with pipes which take the garbage collected to a disposal point a kilometre away. Buildings are pre-fabricated using some composite material - meaning they don't use the stone that we do for construction. And by the way, more than half, 55 percent of the country, is forested (Compared to 5 percent in Kenya), and no, that doesn't look like reducing any time soon. 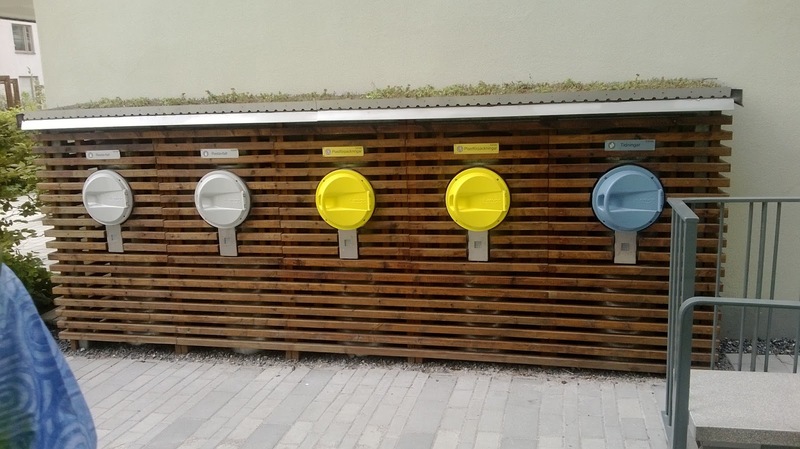 The Swedes do love the environment. If looking for a place to stay, I would recommend the Nordic Sea Hotel, though no idea how much they do cost. You may find the rooms a little small, though they do have standard rooms/(large), though as mentioned earlier, Swedes do have small living spaces due to high cost of land/real estate. The staff are quite great with service, and are also quite helpful. 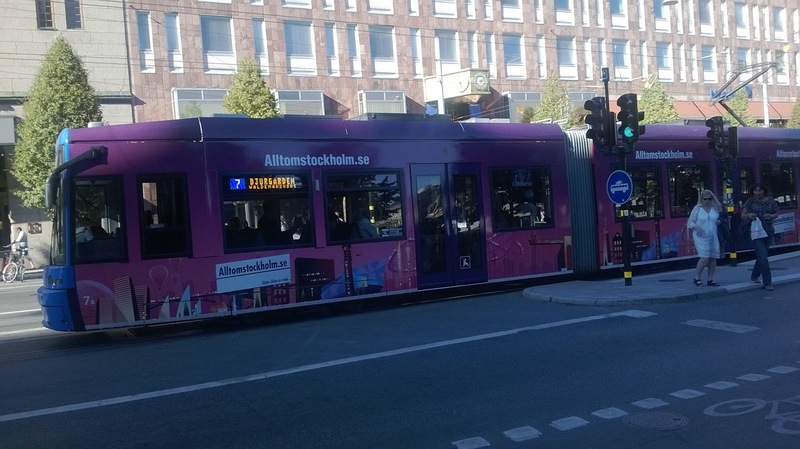 The hotel is located in the central district, just behind the World Trade Centre and next to Stockholm Central Station, meaning you can take the Arlanda Express to the hotel, from the airport. 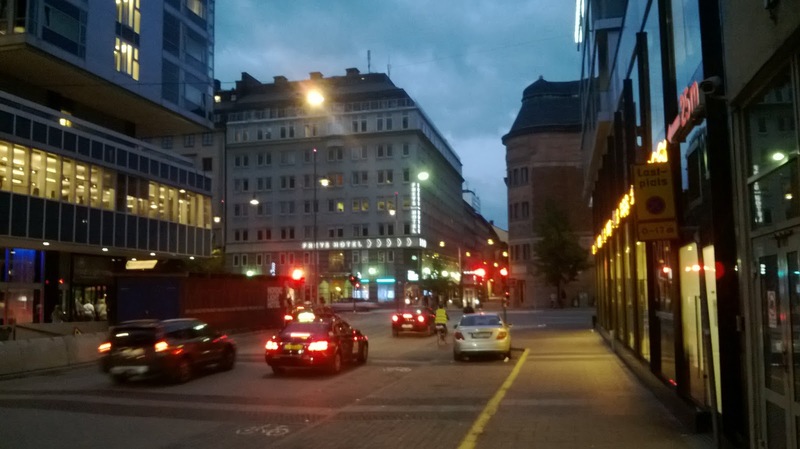 Images here were all shot by a Nokia Lumia 520, while navigation around Stockholm was done using Nokia Here maps. Follow me on Twitter (@denniskioko) for a coming story on use of Nokia Here for navigation.